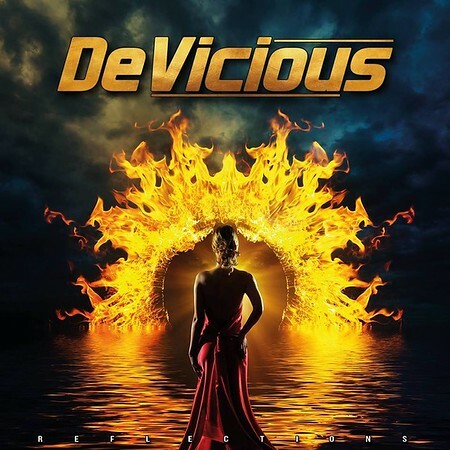 “Reflections” is the second album to be released by German band DeVicious in less than eight months. It was released via Metalapolis Records on 1st March. I’d posted a recommendation for the debut album “Never Say Never” and the second album certainly merits another post. The track “Long Way Home” was featured on the Friday NI Rocks Show on 22nd February. DeVicious formed in Karlsruhe in 2016 and features Serbian singer Zoran Sandorov on vocals. The other members are bass player Alex Frey, guitarist Radivoj Petrovic, keyboard player Denis Kunz and drummer Lars Nippa. Singer Åge Sten Nilsen from Ammunition and Wig Wam duets with Sandorov on the track “Never Let You Go”. The new album is a little heavier than “Never Say Never”, though it still sits somewhere in that broad spectrum between melodic and hard rock – hence the ‘melodic hard rock’ genre label that is attached online! The band is currently finishing off a tour with Norwegian band Ammunition and have a few festival appearances in Europe arranged.